Checkout our supervised driving log app. Help your kids w/ their in car driving lessons. 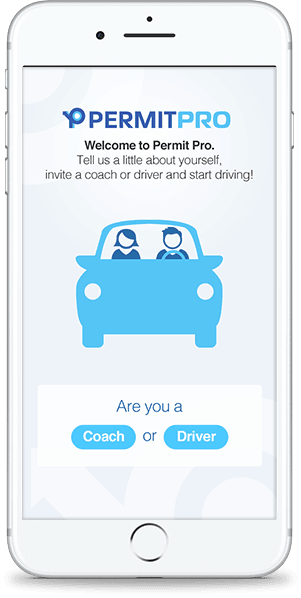 The app that helps parents teach their teen how to drive! As a parent, teaching your teen to drive can feel daunting. Permit Pro offers you prepared lessons to guide your road instruction and give you confidence that you're providing your child with tested, expert instruction. The individual lessons cover a range of topics that progress from basic skills, to advanced techniques and maneuvers. All you need to do is follow along! Check your teen's skill progress after driving sessions. Easily maintain your teen's supervised driving log. Rate your teen's driving performance after each behind-the-wheel session. Permit Pro has everything you need to take your teen from drivers ed graduate to driving-test ready. And because the app can be installed on more than one device (at no extra charge), your teen's skill score and rating will be seen on their mobile phone or tablet. That way, he or she can get instant feedback at any time. It truly makes in-car driving lessons less stressful and more engaging. No more worries about whether you have what it takes to teach your kid how to drive. With Permit Pro, you'll be a master driving instructor in no time.